The blue portrait isn't actually in Somtow's house yet but he discovered this Ukrainian artist's work on the internet and acquired it almost right away … hopefully it is showing up on our doorstep shortly ... Lion Tamer is one of the illustrations from Somtow's The Snow Dragon by Mikey Jiraros. 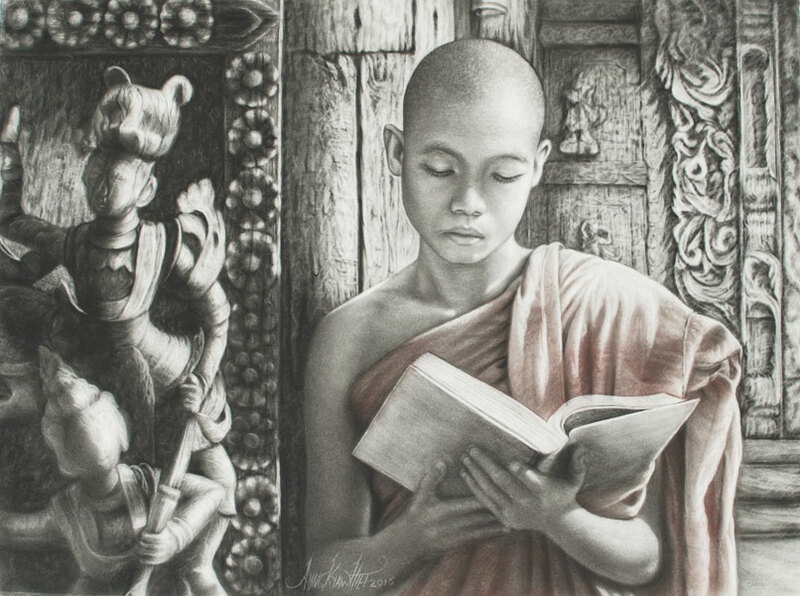 One of the most prominent and collectible Burmese artists, Aung Kyaw Htet is most well known for his Buddhist paintings.